Agilean is an Artificial Intelligence and Natural Language Processing based SaaS Enterprise workflow automation and administration solution that caters particularly a small and medium IT businesses working with numerous verticals. 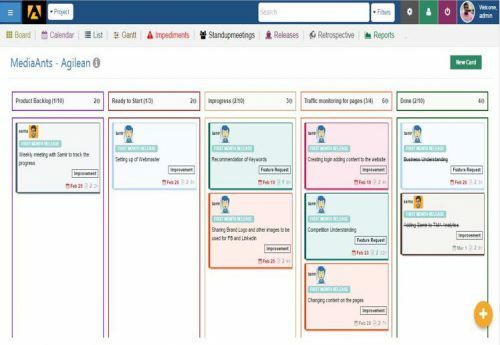 Customizable, simple and simple, Agilean assists set and automate your Kanban flow in a few mins from the choice of over 50 inbuilt templates for flow efficiency. Agilean was designed to streamline your workflows able to create process flows and funnels automatically, but additionally enhance your existing projects based on the requirements of your business or customer. It increases and enhances your abilities for task planning, delivery, tracking, control and continuous learning for a wide range of software along with other industry vertical projects. Agilean promotes total transparency on all your projects and improve overall project efficiency. The software provides the most appropriate and updated details about all your and your team’s work via strong and beautiful data visualizations boards which are simple to understand. Improvement and optimization of your workflows is maximized like you or your team can place bottlenecks and possible problems that may hinder your operations. 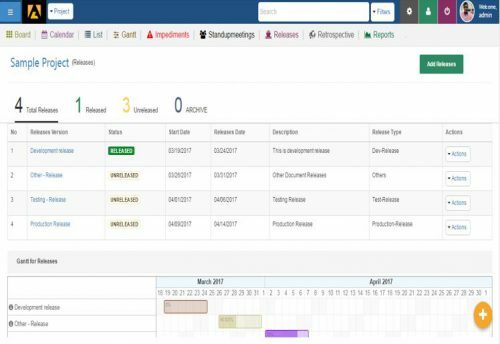 One place to manage all your teams backlog and Limiting the work-in progress contributes to better focus, clear communication and more realistic analysis and project. Agilean can Identify the impediments and provide the response plan which is key value to team and organization to increase agility. With Agilean, the feedback loop is fast and brief. This enables for much better collaboration and communication in between you or your client, making sure that your team is able to provide the minimum variable item and validate. You or Your team can rapidly see and understand the value flow and process and determine processes which are wasteful and take them out from the equation. Improving your team overall effectiveness becomes easier. Agilean allows you to take a deep look at the real efficiency time for cards without including wait time and blocked time and determine how you may further improve efficiency And provide better, high value output. At the IT business, it’s crucial that you keep your clients Notified of each updated and development. Your clients having the ability to offer their inputs and ideas is equally important as well. With Agilean, your clients have a platform where they could provide you with their needs, want, and more and you having the ability to respond as soon as possible. What Problems Will Agilean Solve? 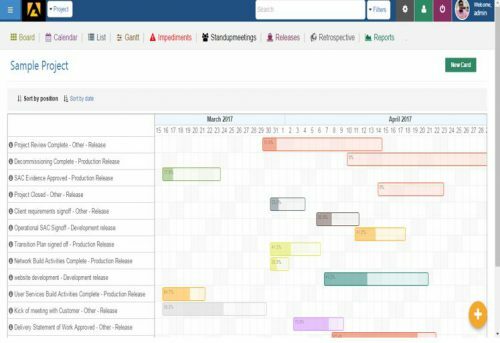 Agilean provides Kanban that enables customers to create an automatic procedure in a few minutes with the aid of templates that are in built. Select the Workflow template-based on kind of your project. Your entire funnels will soon be produced immediately, where exercise or jobs, are passed from participant to another for action, based on a set of procedural guidelines. Alternatively, you produce your own and can modify the funnel. The work-flow automation allows you speed up efficiency, but additionally improve current assignments based on your customers or your firm wants. 70% of senior management and your center is active with back to back conferences, which is very hard to calculate their productiveness and selection outcome of these meetings. Hence, all the conferences become non-conclusive. Agilean is promoting standup conferences automation where your entire run time conversations in the shape of audio will likely be changed into text that was systematic l and after that converted to mp3 and saved on your system. Agilean uses Natural language processing and Artificial Intelligence in the work-flow management device. Of applying AI purpose is helping to supervisor and groups. PM and team can ask certain questions regarding the undertaking health and position updates and get the general feedback/outcomes from AI bot in real time. AI Assistant will give suggestions and can understand about the general task and forecast the future efficiency. Example: as a project progress, AI Bot can calculate expense efficiency and forecast the achievement price of the project-based on procedural principles and certain parameter. AI Bot learns about the general schedule and range of the project, ensuring every one of the schedules are satisfied and keep informing all stakeholders about their process line that is dead lines and do the required escalation to the next level management. Suggestions can be given by AI to the manager, centered on what might be versus what’s really being delivered. This boost the customer-satisfaction ranges and enhances the productiveness of the complete project group as well as the manager. Besides this, time clocking, real time position up date, know all you may do through AI bot and the danger of the project and launch time lines. CEO, Founder and Co founders Details: Founded by Sarma BKP in the year 2016, Agilean is based out of Bangalore. Sarma has over 17 years of IT-Technology experience dealing with IT Infrastructure, Networking, Data Centers, Cloud Computing Services and Analytics.